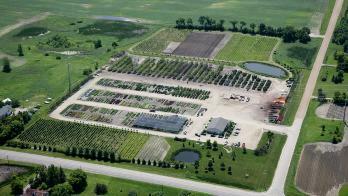 Proudly serving the nursery & landscape professional since 1972. 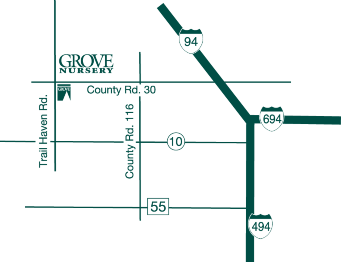 Our wholesale yard is located 4 miles west of Interstate 94 on County Road 30 and Trail Haven Road in Corcoran, Minnesota. During the landscaping season, we will be closed on Memorial Day, Independence Day, and Labor Day. During the winter, we will be closed Thanksgiving Day and the following Friday, the week of Christmas, the week of New Years, Martin Luther King Jr. Day, and Presidents' Day.